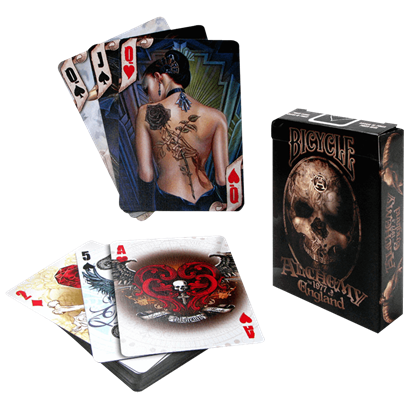 Play the game that has challenged, intrigued, and entertained mankind for centuries. Chess is a phenomenal way to stretch your strategic muscles and have a bit of fun at the same time. And our chess sets and games are perfect for such pursuits. 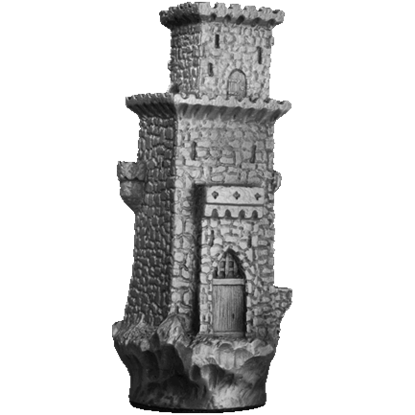 We have many medieval and fantasy chess sets to choose from, as well as high quality chess figures that make fantastic gifts for your favorite opponents. 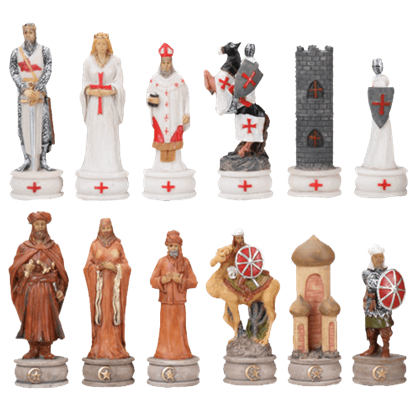 Shop everything from Crusader and medieval knight chess sets to dragon, fairy, and mythology chess sets. 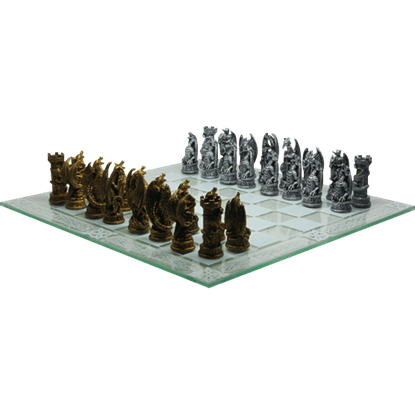 We also offer impressive Arthurian chess sets with display tables and bases. Shop here as well for all our other medieval games. Help King Arthur and his noble allies take on the cruel warlord Mordred and his evil horde for control of the Kingdom of Camelot. 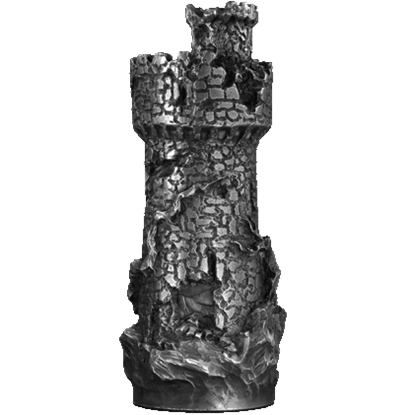 This chess set is utterly amazing in detail and makes a stunning battlefield for chess play. King Arthur and his noble allies take on the cruel warlord Mordred and his evil horde for control of the Kingdom of Camelot. This chess set is utterly amazing in detail and makes a stunning battlefield for chess play. 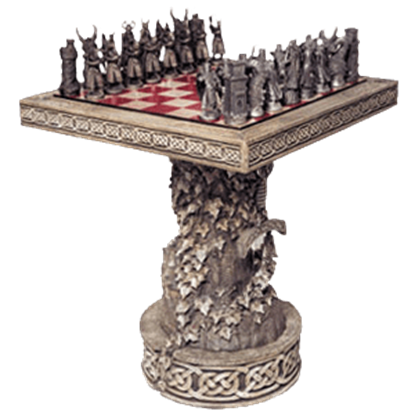 The chessboard stand is shaped like a growing tree with leaves revealing the entrance to the magical Kingdom of Camelot. Camelot has mighty towers on one side of the stand with the Excalibur sword on the other. 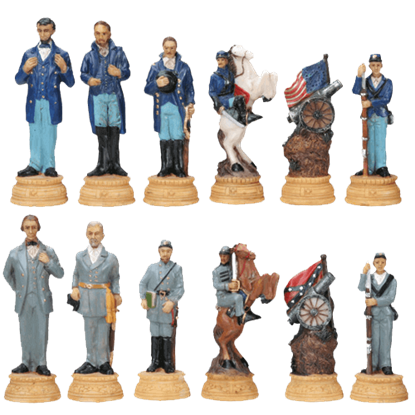 Now you can reenact one of the most influential moments of US history with the Civil War Chess Set. Play the classic game of strategy and skill with these figures inspired by the tumultuous war that divided the North and South. Inspired by one of the most defining conflicts of the Middle Ages, the Crusades Chess Set displays both sides of these religious wars. 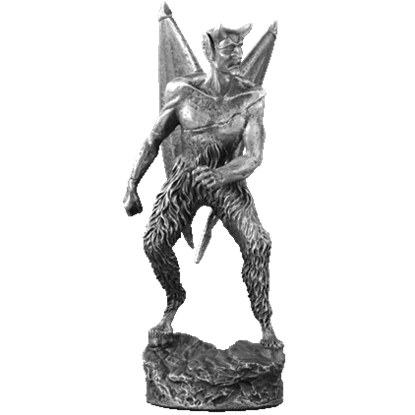 Each figure is made of cold cast resin and hand painted with remarkable attention to detail. Camelot shines with its glorious castles and mighty towers on one side of the stand with the esoteric Excalibur sword on the other side making a spectacular visual. The Arthurian chess sculptures have great detail. 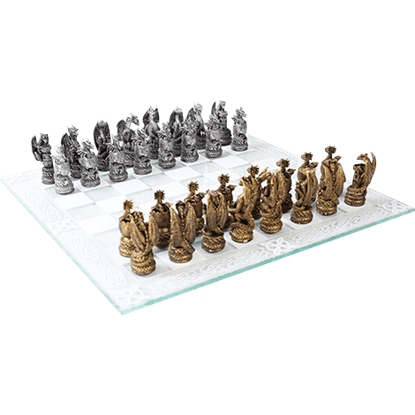 This chess set is utterly amazing in detail and makes a stunning battlefield for chess play. The chessboard stand is shaped like a growing tree with dangling leaves revealing the entrance to the magical Kingdom of Camelot. Chess is such a fun game to play, and now playing with medieval dragon pieces can make it even better! Add this Dragon Kingdom Chess Set into your arsenal of tactic and strategy games for a new and exciting take on an old favorite. 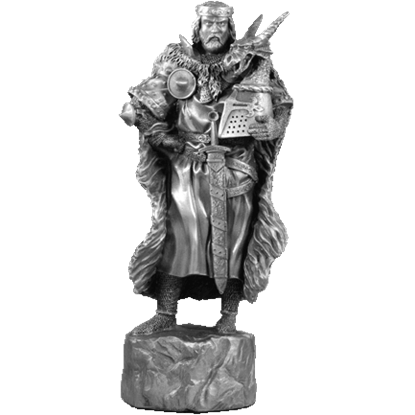 Fans of chess have a new way to combine their love of the strategy game with incredible fantasy style. 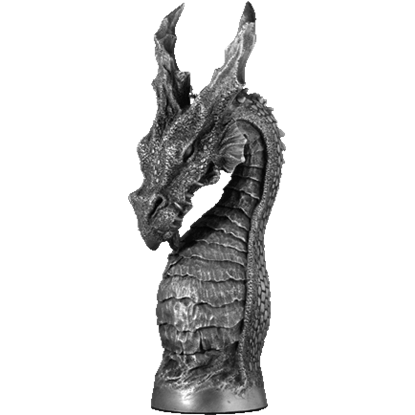 The Dragons Lair Chess Set includes intricately crafted chess pieces shaped in clever designs featuring the mythical beast.